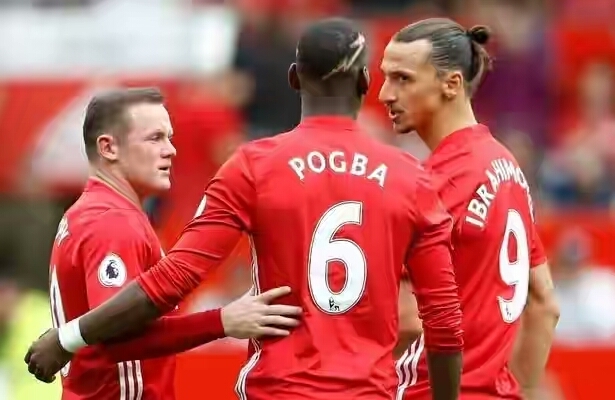 HomeSportPogba And Ibrahimovic Are Not Untouchable At Man U – Mourinho Insists!! Pogba And Ibrahimovic Are Not Untouchable At Man U – Mourinho Insists!! Manchester United manager, Jose Mourinho, has insisted that none of his superstar players are untouchable, even Paul Pogba or Zlatan Ibrahimovic. The Portuguese described the core of his team during his first stint at Chelsea as “untouchable”. These included players like John Terry, Didier Drogba and Frank Lampard. Although United paid a world-record fee for Pogba and lured Ibrahimovic as a free agent with big wages , Mourinho says all that reputation counts for nothing. Pogba has struggled for form since his switch from Juventus and has scored only once, while Ibrahimovic has not found the back of the net in the last four league fixtures. Mourinho says he can drop either player at any time. “No [Pogba and Ibrahimovic are not untouchable],” he said ahead of Thursday’s Europa League tie against Fenerbahce. “That was 11 years ago [that Mourinho described some Chelsea players as untouchable], different Premier League, different situation. “[Chelsea were] the best team by far, that’s a different story. “Nobody is untouchable now. Untouchable in our team I think has to be the spirit, the commitment, the pride, the commitment to the club, the respect to the fans. Mourinho was however quick to praise the impact of Ibrahimovic, who has not scored since netting the winner against Zorya in their last Europa League tie. “I’m really happy. He’s giving us exactly what we need from him,” he added. “It’s quite beautiful for me to meet him five or six years later and to find the same ambition, passion and desire to play, desire to compete. “I couldn’t be happier. The guy is really fit. He’s always ready to play. I couldn’t be happier in terms of his influence in the dressing room.